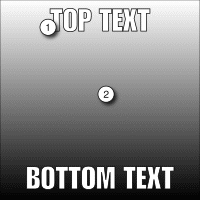 In essence, it’s what we used to call “an Internet joke,” but with a picture to really punctuate the humor. Yes, it’s better than the old days and social media makes them easier to spread. There’s no weirdly named attachments that Cousin Eddy can’t receive, or Aunt Ruby can’t open. A guffaw escapes your throat, you guide your mouse to like it, share it, you laugh some more and tag your favorite conspiracy theorist and scroll to the next image in your feed. You just login and there they are! They keep evolving and expanding. Now memes also use video. Like, share, comment—it’s easy! You know what else is easy? Making them, thanks to meme generators. Now, it’s not as easy as sharing them, but the online meme generators make it simple. How popular the meme is, determined by the number of likes and shares it gets, is largely dependent on how funny or clever you are. It really doesn’t matter if you can explain how the generator actually generates it. We aren’t going to worry ourselves with how a meme generator, or any other kind of generator for that matter, works. We are going to keep to the objective of OmniTalk and focus on the search results. A quick search of “meme generator” brought us more than nine million results. Ask for the free ones and the list contracts, but there are still more than 100,000 choices. What used to be most common, at least in my feed (probably hand-picked by the Internet genies, e.g. 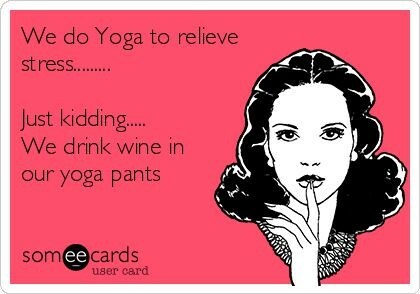 target marketers) were memes depicting women wearing yoga pants, drinking wine. I liked those! Now, looking through a list of the best memes of 2017, I see no such funniness. Some ecards pretty much was responsible for all of this yoga-dodging, wine-swilling, gal-pal merriment. Even on their webpage there are fewer lined illustrations than photos—they’re all still funny. While getting lost in the jamboree of wine witticisms, I found an offshoot of some ecards called SomeWine. Although it’s filled to the brim with tasty wine jokes, irony is what they’re pouring—they really sell wine! As an added bonus, 1% of your purchase goes to nonprofits. See? Humor really does change the world.